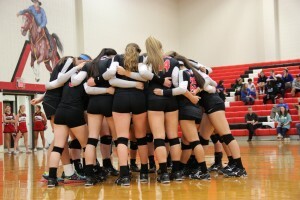 The Coppell Cowgirls varsity volleyball team huddles up as they prepare for their match against Hebron in November. The Cowgirls, along with the rest of Coppell High School Athletics will be playing in the new UIL Class 6A starting in Fall 2014. Photo by Sandy Iyer. 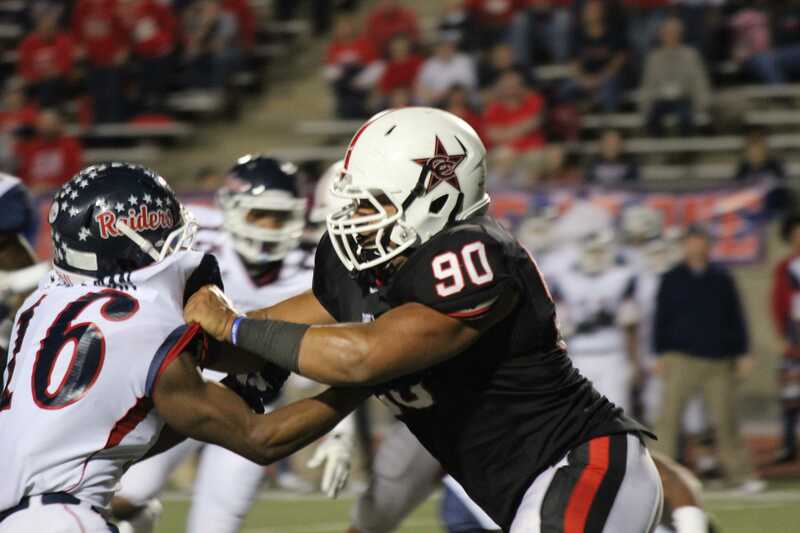 Coppell High School has moved from Class 5A to the new Class 6A after the University Interscholastic League released the conference cutoff numbers for the 2014-2016 reclassification and realignment on Dec. 2. With current enrollment at 3057 students and counting, CHS will join some of the biggest schools in the state in the new conference. Enrollment numbers for next year’s alignment were reported to the UIL by athletic directors across the state on the Oct. 25 “Snapshot Day”. The announcement of the student population cutoffs for the five (now six) conferences came early. This information has typically been released in the spring. The increase in student body size has prompted a 45-year climb in classification for Coppell athletics after they began in Class 1A in 1968. In corresponding with head baseball coach Kendall Clark, head football coach Joe McBride and wrestling coach Chip Lowery, they confirmed this process, which happens every two years, is nothing more than a name change. However, Coppell resident Kim Dicken was surprised that the reclassification was going to occur. As parent of volleyball senior Kate and football/basketball freshman Zach, Dicken is heavily involved in the athletic scene at CHS. “I didn’t even know it was still going to happen,” Dicken said. The most pertinent impact the change has on Dicken and many other Coppell parents is driving distance. The possible trek to game locations in the Allen and Plano areas will increase travel time for CHS fans to athletic events. While the jump in classification may not have an impact on the competition level the Cowboys and Cowgirls will face in season, this type of move is a big deal for other area schools. The McKinney schools will have the most weight lifted off their shoulders. The McKinney High School Lions currently boast one of the state’s smallest 5A enrollments (2,076 students). Now, in the new Class 5A, which is technically the old Class 4A, the Lions will play teams with student enrollment between 1,060 to 2,099, instead of twice or three times that size. The move also questions the hierarchy of prestige in each of the conferences and how colleges will handle recruiting with the new cutoffs. Some coaches, however, have already taken their stances. In terms of the athletes, the in-game routine will be the same. The reclassification will have some effect on who they face at game time, but not on much else. Certain sports are also affected more than others in this system. Because finding brighter lights on a football field in Texas is near impossible, there are larger stakes for the schools in the higher conferences. Current 5A teams such as Allen, DeSoto, Cedar Hill and Coppell all fit into this category where there is added motivation to succeed on the football field. Though the stakes are higher, the new system does not alter the path to earning a state title. Overall, the clustering of schools based on their enrollment has fostered an increase in competition. With this new reclassification, fans should expect an unprecedented rise in on-field rivalries. This perspective alludes to the possible existence of super-conferences in the UIL Class system, comparable to the SEC or the Big 12 in college sports.